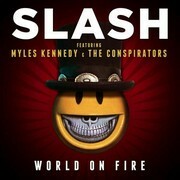 Slash, Myles Kennedy and The Conspirators are back in the studio to create the follow-up to their 2012 album Apocalyptic Love. Todd Kerns wrote verses of "Shadow Life". Slash and Myles Kennedy wrote "Bent To Fly" in the dressing room of Conan O'Brien TV show in November 2013. The band first worked on "Stone Blind" and "Withered Delilah" and then put on "30 Years To Life" and "World On Fire". 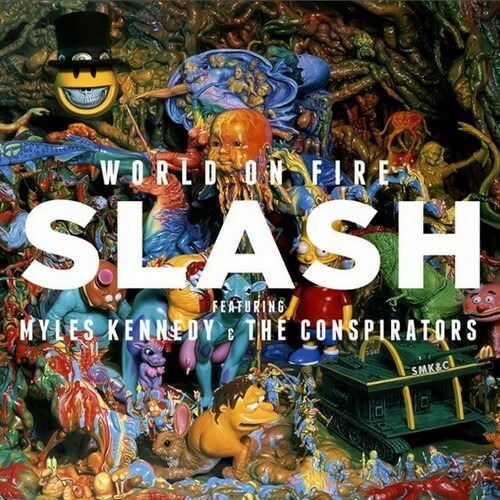 "Too Far Gone" was brought from Apocalyptic Love sessions. 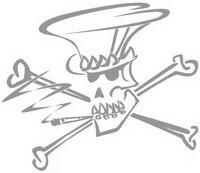 Slash wrote the main riff from "Dirty Girl" back in 2010. "The Dissident" was originally titled "Conscientious Objector" but as Todd Kerns recorded vocals, the band changed the name of it. Slash's favorite song on the album is "The Unholy". World On Fire debuted at number 10 on the Billboard 200 charts, selling 29,000 copies in its first week of release.